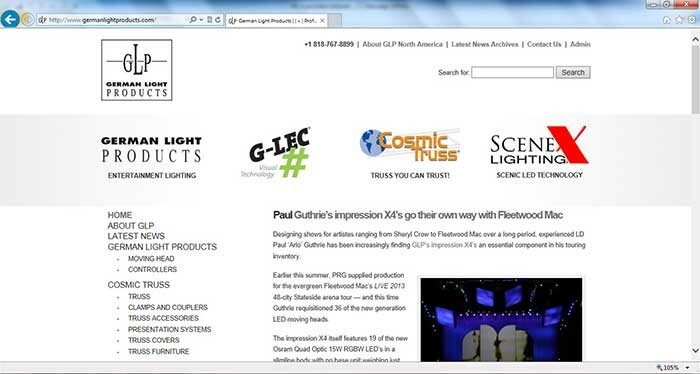 GLP US Inc., the Americas office of German manufacturer GLP, has launched a brand new updated and redesigned website. 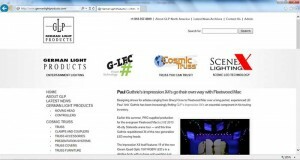 Responsible for the distribution and support of GLP products across North and South America, the new GLP US website features extensive information on the other brands that the company distributes, including the full range of Cosmic Truss structure and support products, the G-LEC range of creative video products, and the Scenex Lighting range of LED based scenic lighting elements. The fresh new design of the website features an extensive download section for each product, along with a large selection of photos and videos across the site showing a wide variety of product applications. An easy to use contents section gets users to the information they want to see quickly and easily, and a full contacts area allows users to make quick and easy contact with any member of the GLP US team for further questions and enquiries.